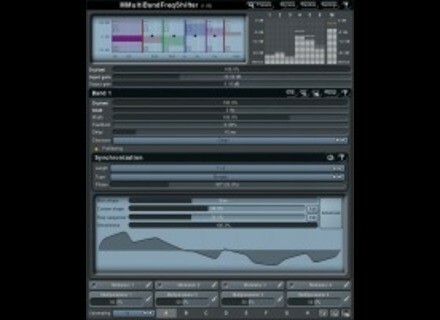 MMultiBandFreqShifter, Pitch Shifter / Time Stretcher from MeldaProduction. MeldaProduction has updated all its effect plug-ins to v3.01 and released three new ones: MMultiBandFreqShifter (included in MTotalBundle and MCreativeBundle, introductory price €10), MFreqShifter (free) and MFreeformAnalogEq (included in MTotalBundle and MMasteringBundle, introductory price €20). MMultiBandFreqShifter is a frequency shifting plug-in designed to break down the harmonic content of the audio. You can use it to fatten the sound, produce mild stereo expansion, or even provide complete sound destruction, the company says. MFreqShifter is a frequency shifter, which unlike pitch-shifters doesn't keep harmonic relationships and can provide everything from mild stereo expansion to complete destruction, according to MeldaProduction. MFreeformAnalogEq is a unique equalizer designed to allow you to draw any frequency response you wish and then to attempt to match the response by applying analog filters using the MeldaProduction Filter Adaption technology (MFA). If the response you draw can be achieved using analog filters, then MFreeformAnalogEq will create it for you so now there's no need to worry about complicated parametric equalizer settings anymore. Added MMultiBandFreqShifter, MFreqShifter and MFreeformAnalogEq. Added harmonics control in MMultiBandSaturator and MLimiter. Added clean/crisp mode for MDynamicsLimiter and MMultiBandLimiter. Smoothness in signal generators and analyzers optimized by 200%-1600%. MAutoEqualizer optimized and improved accuracy, added upsampling and optimized mode for even faster response. Added draw mode in envelope editor, added middle mouse button drawing. Added band pass for modulator follower mode. Mouse wheel zooming in graph editors now zooms "to point". Fix: Link didn't work correctly in some multiband plug-ins. Fix: Lock in envelope editor didn't lock the point completely. Fix: Modulator/multiparam learn deleted unchanged parameters relative to modified. Fix: Graph editor generated weird shapes for multiple points in the same position. Fix: plug-ins could crash after receiving program change. 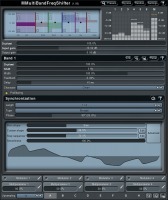 AudioMulch AudioMulch 2.1.1 Ross Bencina has updated AudioMulch to version 2.1.1. New DSK Guitars + DSK Darkness Theory 3 DSK Music has announced the release of three new sample-based guitar virtual instruments: DSK Guitars Acoustic, DSK Guitars Nylon, and DSK Guitars Steel and also version 3.0 of DSK Darkness Theory (although what's new isn't specified). Hello Robot Rocket Punch & Bit Box Hello Robot has announced the release of two new free VST instrument plug-ins for Windows: Rocket Punch and BiT BOX.